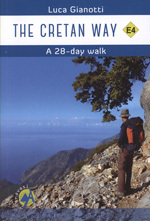 Subject: The Cretan Way is a 500 km walking route which takes you from east to west across the varied and spectacular landscapes of Crete. It is the ideal way to discover the rural, mountainous and coastal regions of this incredible island. The Cretan Way mostly follows the E4 except for some variations that avoid road sections of the E4. Other features: Each of the 28 sections is accompanied by a detailed map where the route is marked. Dimensions: Y 19 Χ Π 13εκ. 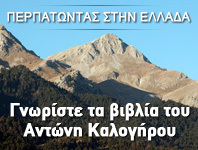 A few words about this book: This guidebook is the first ever guidebook for the Ε4 route en Crete and includes maps, descriptions, a travelogue, GPS tracks, accommodation info and tips for walking one of the most remarkable long-distance routes in the world.